It’s that time again, back to school! I know some of you have children that haven’t started back yet but, most of us have. According to a recent survey by the makers of Excedrin®, 69% of parents, who have at least one child in school this school year, say they are excited for their child’s first day of school. We all know it is so we can get back to a routine and have some quiet time! That doesn’t change the fact that 44% of parents also say they expect to get a headache during the back to school season. Between school supplies, new clothes and for me, learning about a new school, it can be very overwhelming. According to a recent survey by the makers of Excedrin®, more than one-third of parents see getting themselves (41%) and their children (43%) back on a schedule at the top of the list of things that might cause their headaches during the back to school season. In addition, more than one-third (35%) of parents say shopping for school supplies might give them a headache. With all the pencils, folders and notebooks, parents should remember to put Excedrin® on their back to school shopping list. Every year I am amazed buy the school supply list. I remember when all you needed was a backpack. The schools supplied everything else. Even though I bought everything on both the boys lists, they are still coming home with notes for additional supplies. Now that Royal is in Junior High this year, it’s just crazy. multiple teachers, multiple rules and more supplies than usual. Shopping was definitely at the top of my headache list this year. I think the $60 one strap backpack that Royal wanted this year was the biggest headache but, he’s happy so I’m happy. I am always looking for new ways for the boys to be online in a way that is both fun and educating. Like most kids, if they think it’s boring work, they have no interest! I received an email about a website called Cwist. Here is a little bit about it. And yes FTC, I was paid to do so, however, I am recommending this site because after having the boys use it, I truly think it is a great educational tool! Cwist is the only digital platform to harness the creative power of both parents and educators to develop, test and share hundreds of challenges that educate the whole child. Crowd-sourced from parents, educators, mom bloggers and experts, cwist features an interactive library of educational, community service, outdoor and unique challenges or “cwists” for kids ages 5-10, AND helps them to make a healthy connection between the things they want and the effort it takes to get them. While a great resource and community for parents, cwist is also a great way to see what your kids are wishing for and giving them a way to earn it. Partner companies, like Imagine Toys, Edmund Scientific and others, make it easy for kids to select rewards they really want. And if it’s not on cwist, kids can chose to enter their own unique reward. 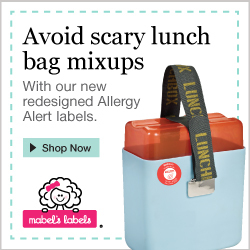 May is National Asthma and Allergy Awareness Month and Mabel’s Labels has launched their newly re-designed Allergy Alert Labels. These labels are a must-have to help make sure that your family is eating safely. Allergy Alerts are durable, waterproof labels that specify allergies on items such as lunch boxes, water bottles, travel gear and much more! These personalized kids allergy labels help make sure that your family is eating safely. 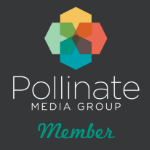 Be sure to promote these newly re-designed labels on your site today! I have always been a HUGE fan of these labels. I was first introduced to them when Royal was 6 (he is almost 11 now!) and I have never been disappointed. Every time I talk about Mabel’s Labels, I feel the need to mention that my sons baseball glove from first grade, now used by his brother, STILL has his name label on it. After years of use, abuse and sweat. You will LOVE this product. It really warms my heart to say that I have two of the sweetest boys any mother could ask for. Yes they are your typical boys picking on each other and talking back but, they both have beautiful hearts. Royal (10) would sit on the bus with a Kindergarten student on the first day of school so they wouldn’t feel scared. Spencer (5) will pick up anything that someone drops and hand it back to them. While every parents thinks that they are getting it wrong, it’s moments like these that show you really are getting it right. The boys have been through a lot in the past few years and they still laugh, smile and shine! While trolling around YouTube, I came across this video about bullying. While bullying has always been an issue, it seems that nowadays it’s even worse. Maybe not worse but more acknowledged by society. The school sends home papers all the time and there are signs all over the halls about this problem. This has to be one of the best bullying videos that I have seen in a very long time. I want to stress that no one asked me to share this, I was not pitched to share it, I was not paid to share it. I am sharing it with you because I think it is a very important topic and Shane Koyczan tells it well! It is a powerful video with a little humor in it. Even if you don’t have children, adults can learn from this video as well. Sometimes adults don’t realize their own behavior and it is carried over to their children. I will say that there are 1 or 2 cure words (out of the 12 minutes he speaks) in it so you may not want to watch it around your children. I am willing to let Royal watch this and forgo the curse. I am sure he has heard worse in his life. The message of the video outweighs him hearing it. I would love to hear your comments on what you thought. If you have another video you would like to share, please leave the link in the comments for others. I hope you enjoy it as much as I did and you will share this post!